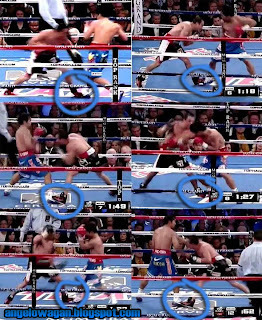 When we are watching the Pacquiao - Marquez 3 live fight last November 13, 2011 , some may not notice and some may notice the foot of Juan Manual Marquez stepping on Manny Pacquiao's foot. Hmmmm... Is it intentional or not? This video will show how Marquez uses his trick. 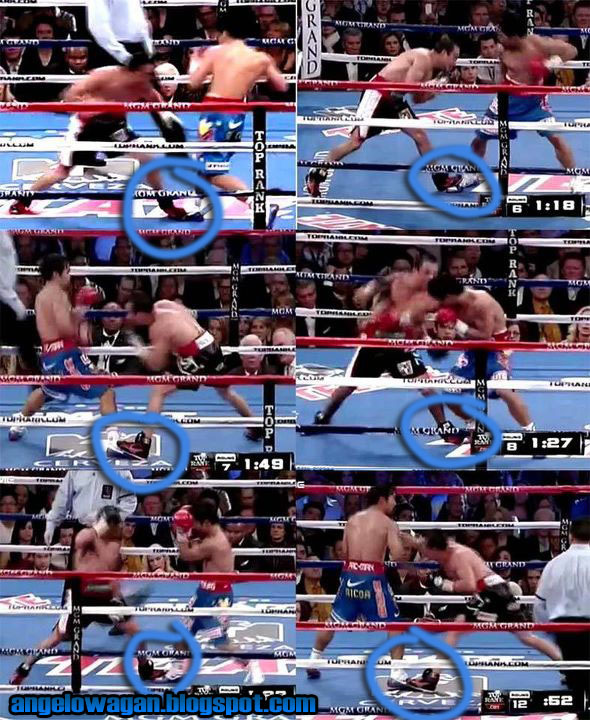 Some people said that Marquez should really won the fight because you can actually see that Pacquiao is a little bit different compare to his other fight but because of this not caught in the ring as a violation, Pacquiao really deserve his win. But is this tactic the reason why Pacquiao is a little bit different?